With a unique vocal style and an impressive 3 to 4-octave vocal range, Cheri Oliver mesmerizes listeners with her soulful blend of Jazz and R&B. 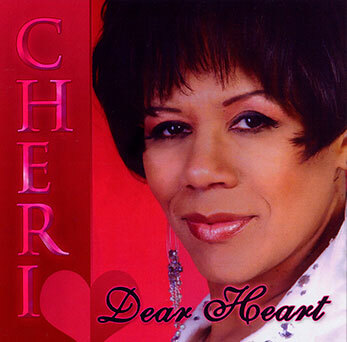 With the debut in Fall 2006 of "Dear Heart", her first project, Cheri Oliver premieres her talents as both vocalist and songwriter. Cheri, a native Detroiter, is also a motivational speaker, has worked for modeling agencies such as Affiliate Models, The I Group, and Nycole Lynn Talent, and attended the Weist & Barron School of Television Acting. Michael Powell, Anita Baker's exective producer, says "Cheri's voice is new, fresh, exciting, and one of a kind." Randy Scott, renowned saxaphonist and record producer says,"Cheri has a pure voice." Dee Brown, renowned acoustic guitartist says "Cheri is a real singer with a real voice." Doug Mercier of Rock Nation says, "Cheri's voice is remarkable." Also a former Miss Oakland University, English teacher and high school guidance counselor, Cheri received musical guidance from the renown Dr. Mattie Moss Clark, appears on the album, Ron Winans Family & Friends III, and is a board member of K.A.M.O.S. (Keeping Arts and Music in Our Schools). In addition, Cheri has been featured on the Fox 2 Morning Show, Michigan Chronicle, and was nominated for the Detroit Black Music Award 2009 and 2011.